San Francisco International Airport (SFO) has awarded the Courtyard 3 Connector Project to the Hensel Phelps, HOK and MEI Architects design-build team. The Connector project is comprised of two new connections between Terminal 2 and Terminal 3, one pre-security and one post-security; 100,000 SF of office space for airport executives; leasable tenant space; and additional passenger amenities and lounges. The project will also include make-ready work and the relocation of a number of critical airport facilities. As with all work at SFO, all gates and terminals will remain fully operational during construction and preserving passenger experience is a top priority. 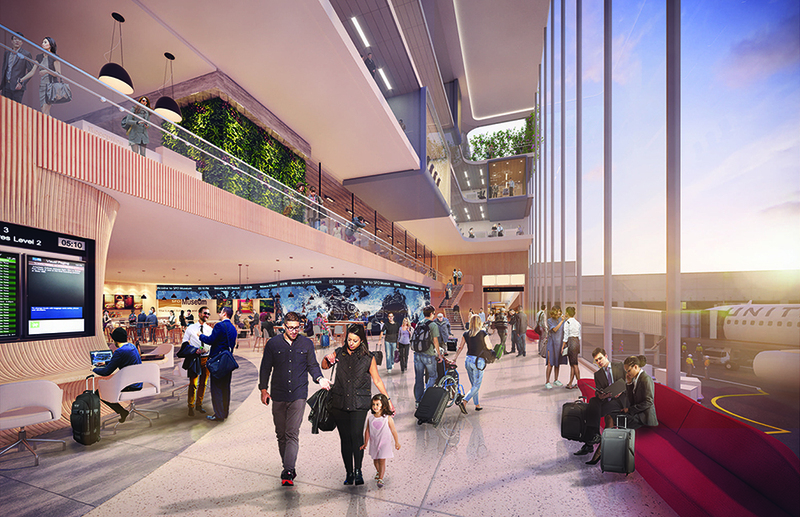 When finished, the Connector project will allow passengers, both pre- and post-security, to travel between terminals with ease while also getting a glimpse of the hard-working SFO personnel who help to keep the airport running at peak performance year-round. In line with SFO’s five-year strategic plan and journey to become the first “triple zero” airport campus in the world, the Courtyard 3 Connector project will work from day one towards LEED Gold Certification, Triple Bottom Line goals, and the aspiration of being Net Zero Ready. Hensel Phelps and our design-build partners are thrilled to work with SFO on another exciting project while helping the airport achieve their ASCENT 2020: Building for the Future goals.